This cantilevered chair with armrests is a stylish pairing of natural finished oak wood and white leather making it a good fit for your dining room chairs or even your high-end kitchen chairs. 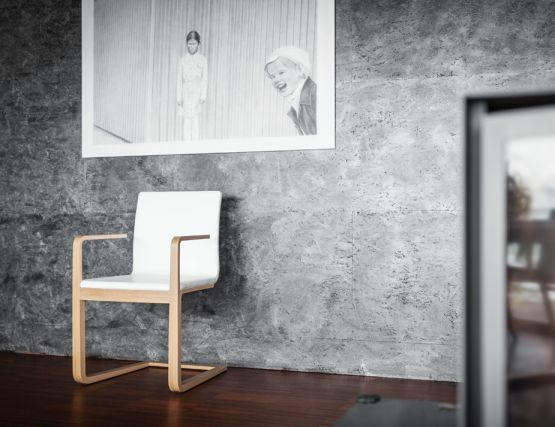 The Mojo by Riabic and TON sports and ergonomic shape that allows for a to and fro rocking motion that makes this chair comfortable for long periods of time. 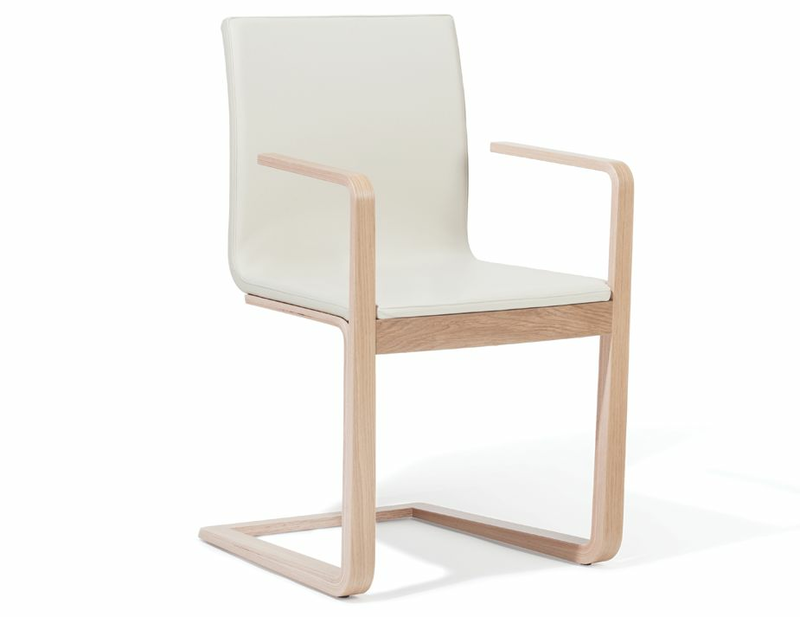 We have seen this wooden chair used in all types of settings due to its incredible versatility. Use this oak chair as a dining chair, a kitchen chair, even an office chair given its unique style and ergonomic design. 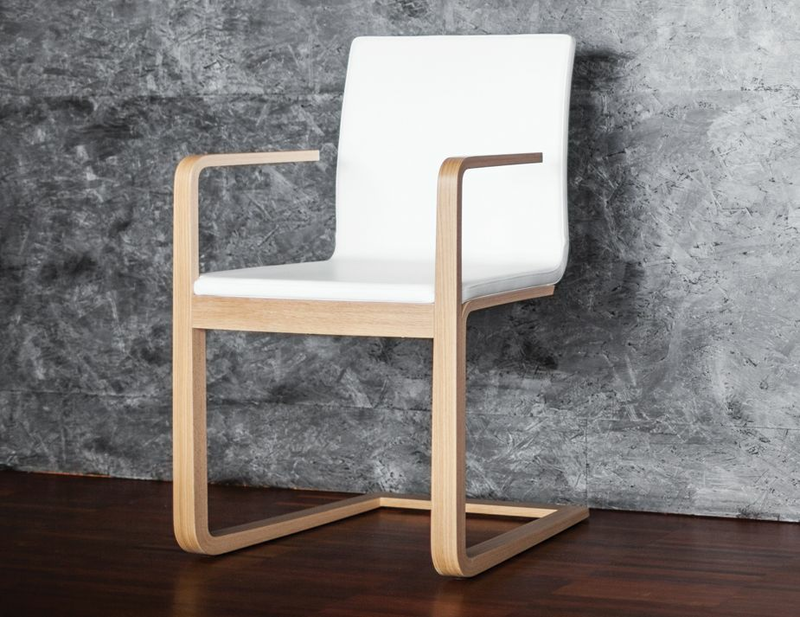 The Mojo contemporary dining chair offers an Oak wood sled base giving this wooden chair a sleek modern look and a subtle rocking motion. 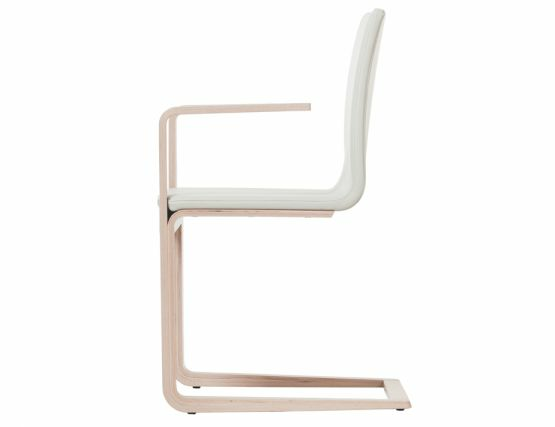 A white leather seat and back complete the look of this unique dining chair. 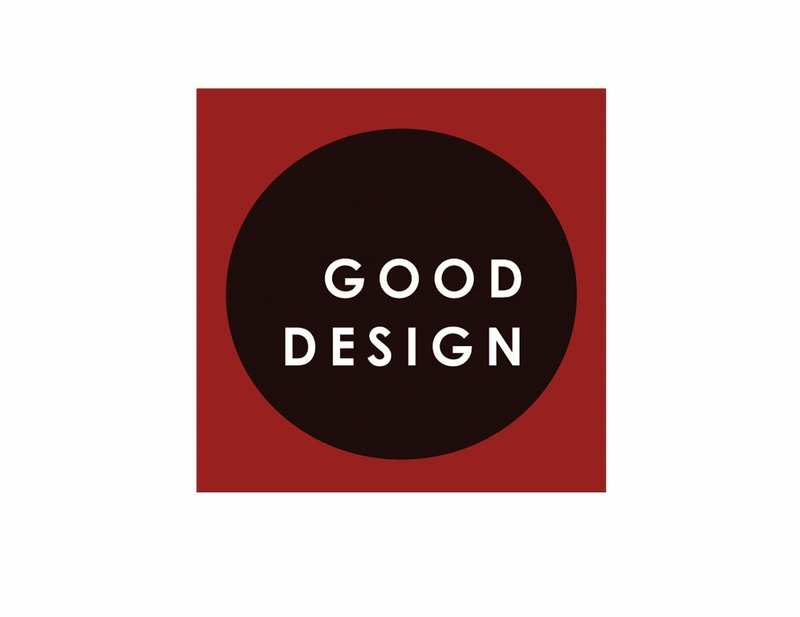 Designed by Michal Riabic and produced by TON CZ, a European furniture manufacture that has produced beautiful wood furniture pieces for over hundred and 50 years. This modern designer chair is made in the very same factory that made Michael Thonet bent wood furniture. Michal Riabic, the young Slovak designer, is continually searching for unusual solutions to design problems that are pleasing both aesthetically and functionally. There are many things to love about this share from its modern cantilevered base to its liberal use of high-quality materials, this dining chair is a standout. 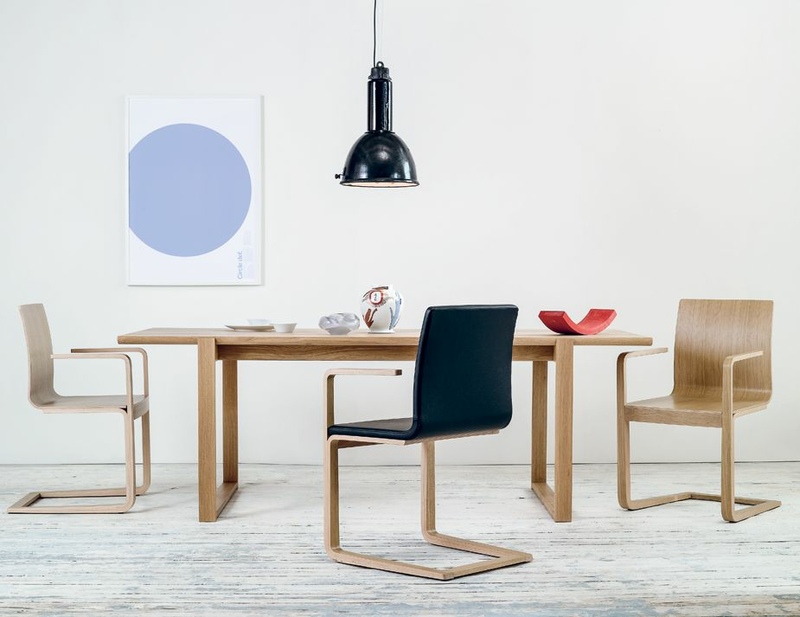 Likewise, we love that even though this is an armchair, because of its streamlined style, it's not bulky and conserve space making it easy to fit many people around your table.